[I] have a lot of American friends and some of my family even live there. I think they have been subliminally influencing me with all their talk of Thanksgiving and turkeys and pumpkin pies. But it’s the side dishes that are calling to me. I’m talking about you, cornbread. 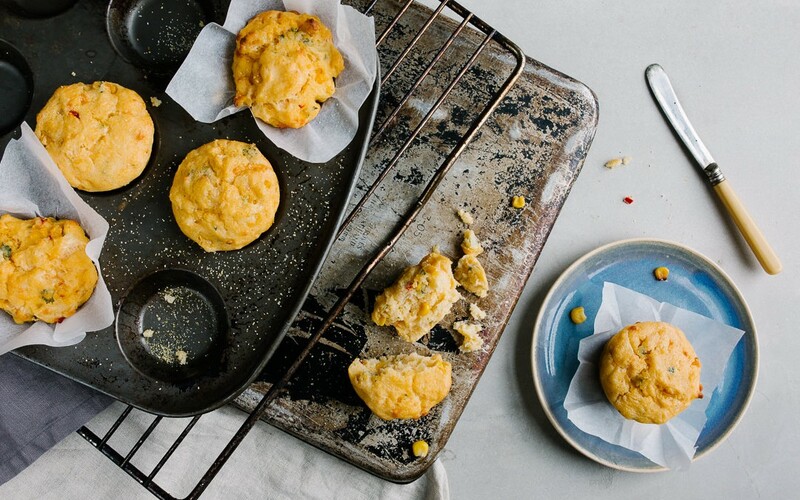 Cheese and Chilli Cornbread Muffins are officially my new favourite thing to dunk in soup. 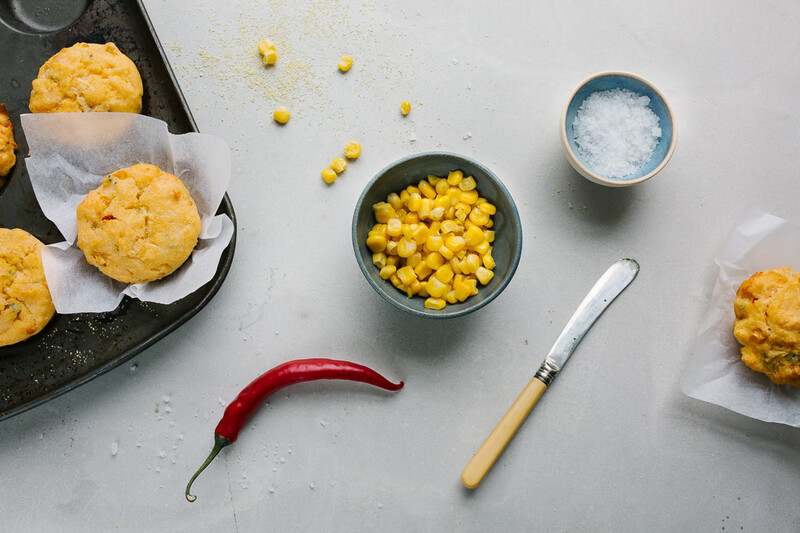 I’ve always REALLY fancied eating a lot of cornbread but have been a bit put off by imagining I need specialist ingredients like cornmeal and buttermilk (keep reading because you don’t). Now I live in darkest Cornwall, so if our local Co-op has something, I’m pretty sure the rest of you can get it easily. But actually, you don’t need anything special to make this all-American treat. 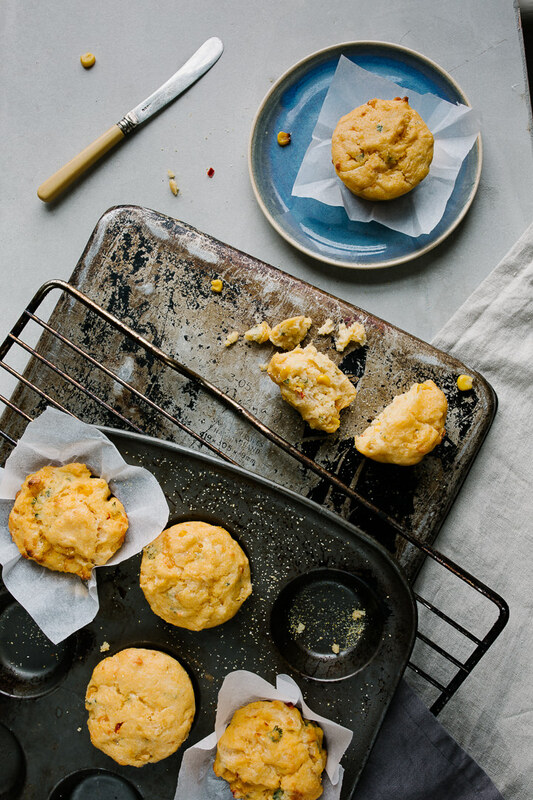 You can load anything into these muffins and the cornbread mixture is thick and forgiving and doesn’t need to rise a lot. I added cheese and chilli but next time, I think I’ll throw in some salty little nuggets of crispy bacon. You could probably even get away with some sun dried tomatoes but I suspect Americans would laugh at you. There are two ingredients here that you can easily find substitutes for. Firstly cornmeal. If you live in American, I have seen it in every supermarket and in lots of different varieties. For anyone else, polenta works perfectly and it results in a beautiful yellow colour. The other ingredient we need to talk about is buttermilk. Again, easy to get in the USA but for the rest of us, forget it. Buttermilk is basically the consistency of full milk with an acidic component that makes bakes ferment and rise. It turns out that you can switch buttermilk for half milk / half natural yoghurt. That’s what I did and you get an absolutely cracking results. Happy Thanksgiving everyone. Preheat your oven to 180 C and grease your muffin pan or muffin liners. I used both liners and a greased non-stick pan and both turned out well. Melt a little butter in a frying pan and add the chopped onion and chopped red chilli. Fry gently until softened. At the last minute, add the coriander and then allow mixture to cool. In a large bowl, mix together the flour, polenta, baking powder, cheddar cheese and a generous pinch of salt. In a separate bowl, whisk together the eggs, buttermilk / milk /yoghurt mixture. Stir into the dry ingredients and add the corn. Mix well. 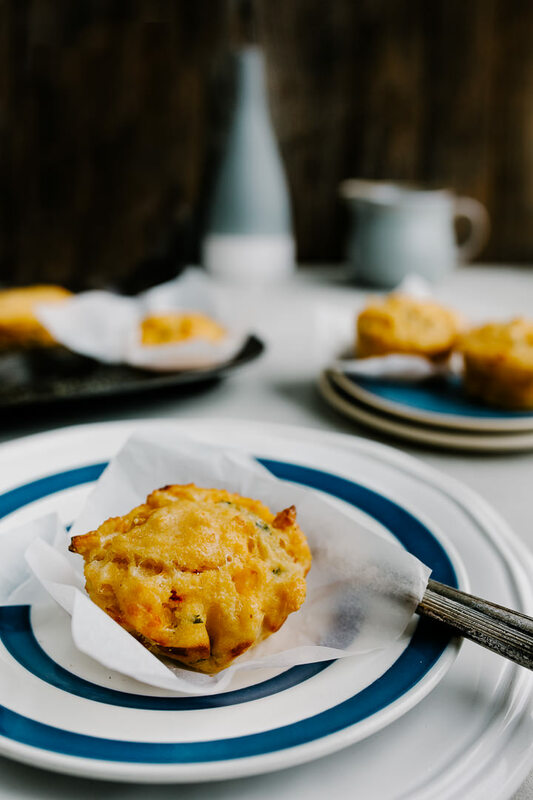 Spoon the mixure into your muffin tins or liners. These muffins don't rise that high so you'll need to fill the holes quite high. Bake in a moderate over for 35 min or until golden and springy to touch.